If you or a friend have a baby on the way we highly recommend the RIE (Resources for Infant Educarer) resources. We have read a lot of other stuff that is out there but none of it matches up to the works of Magda Gerber and her associates. These infant books are low guilt, holding a strong image of children and adults, and based in a core belief of mutual respect. This is ideal for those among us who may have a tendency to do too much for baby. I love the way Gerber draws the reader to consider the long term effects of common parenting choices. This is the most modern RIE book and has a simple straight forward approach forward approach to caring for and being with young infants through toddlerhood. 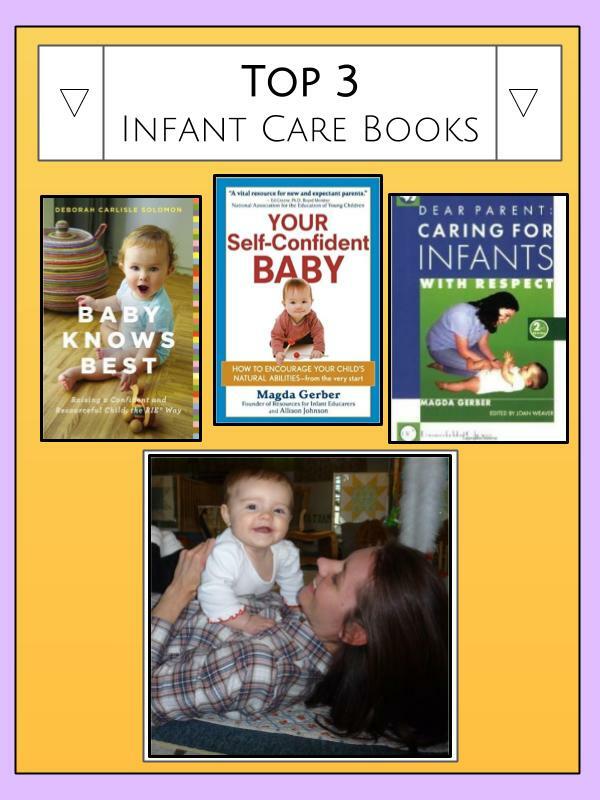 The focus of this book is to help parents tune into and read their baby’s cues. One of the older books written by the founder of RIE Magda Gerber this maintains it’s standing as a classic RIE parent book. “Dear Parent” is a quick read and easy to reference resource which will provide support and guidance for parents without a prescription because every child and family is different.